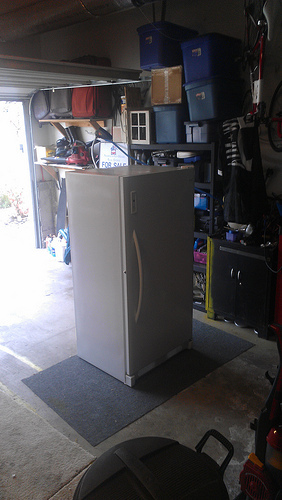 1) Our freezer was delivered! Isn’t she beautiful? I doubt she will ever be this empty again until we move. 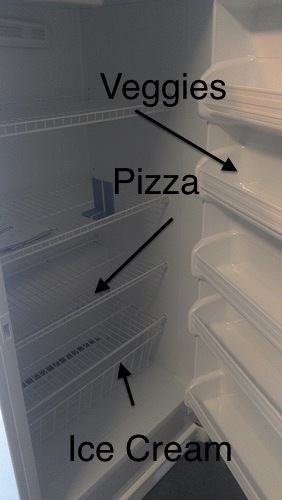 Or get realllly hungry. I had a GREAT run today. Recovered from my funk. Everything felt right. I was looking forward (what?) to it ALL day and when I finally went, I used an altered version of this plan from Ashley. Nothing got in the way. Not this or this. It was epic. 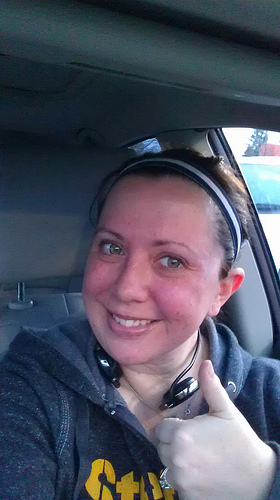 I was hoping to beat my 5K PR, but was not so lucky. 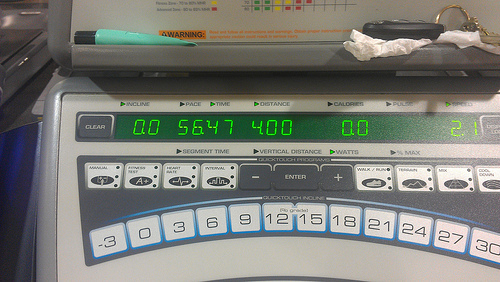 I did however kill my 4 mile time by almost 4 minutes! Tomato face has made a return. 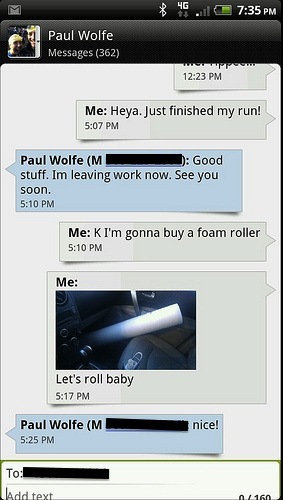 3) I got a foam roller. 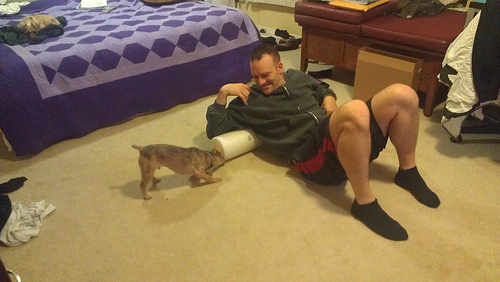 Guinness was NOT a fan of the foam roller. He thought it was attacking us or something and was barking like crazy and biting it. Crazy guy. 4) This bad boy got broken out and taken for a spin. I’m officially in love. So light, so easy to use, actually surprised by how non-difficult it is…I mean its only been like one day, but so far so good. 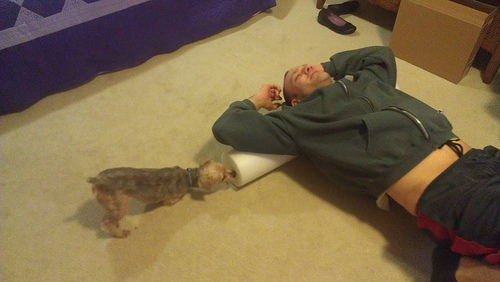 I posted this pic on FB and when I said “my little friend” I was really talking about my slinky. See it? Peeking out from behind that beautiful new laptop? Hello little friend. 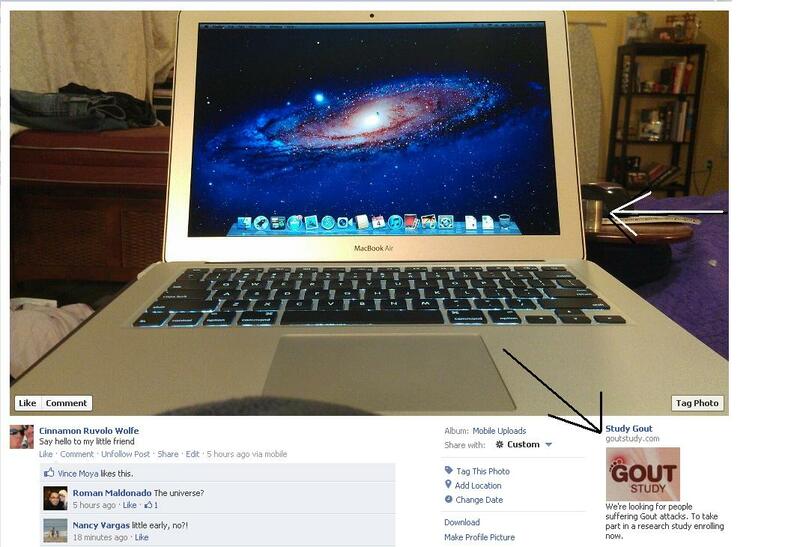 Then when I looked at the pic again, an ad for a “Gout Study” came up? Gout? Really? What are they getting from my profile that makes me a candidate for this ad????? I need to go stalk my FB to crack this case. 5) I changed the theme on the blog. Not sure how I feel about it yet…time will tell. I’m changing to self-hosted/designed in a while, but in the meantime I thought I would change things up. I always get ancy with this type of stuff and the pre-made themes are cool, but they aren’t totally “me” so I just don’t feel like there is one that totally fits me yet. I will get there. What do you think? Like the new one or prefer the old? Or should I try something else all together? 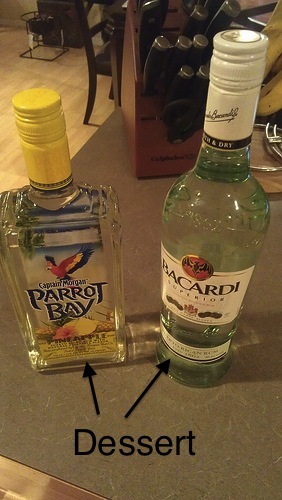 Decisions, decisions…. 6) Poor Kyle had a cough and fever today so it was an at home work day again. I did NOT do any laundry or dishes, instead I did lots of “work-work” and prepped for my class tomorrow. 7) Today was the fifth consecutive day of sunshine and blue sky in Seattle. It was amazingly beautiful. 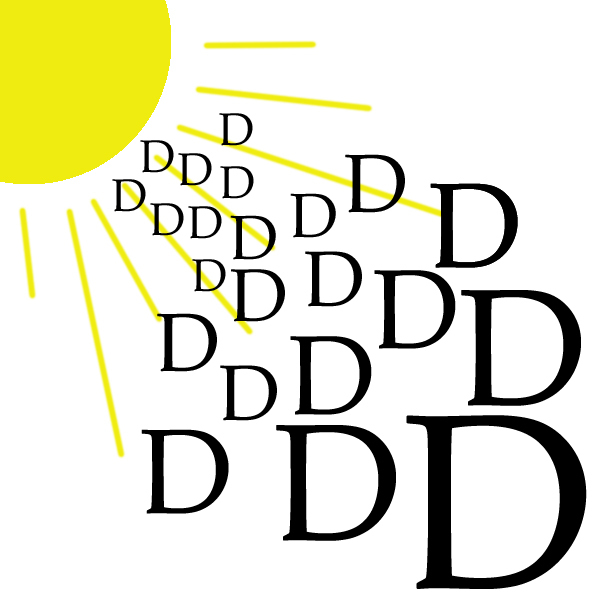 I am on a vitamin D high. 8) Paul brought this home from work today. What WHAT??? 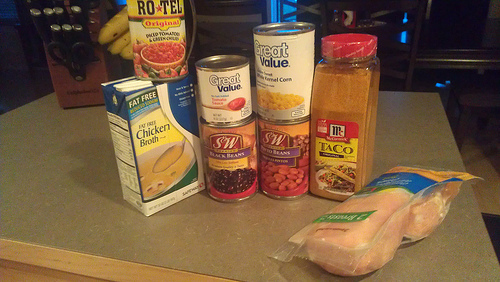 We have officially made Tuesday Taco Soup /Taco night. One or the other. 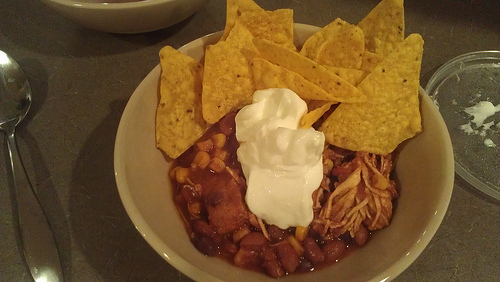 The taco soup I make is an altered version of this girls recipe. chips, sour cream or greek yogurt and cheese for topping! 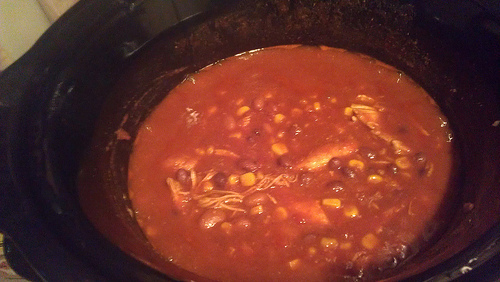 Put everything in a slow cooker (except the stuff for topping) and cook on low for 5-6 hours. Usually my chicken pretty much shreds apart by the time its done, but if it doesn’t you can shred it with a couple of forks. 10) In case you don’t already know, 0% plain greek yogurt pretty much tastes EXACTLY like sour cream. If you like sour cream but hate how fattening/caloric it is…use Greek yogurt. You won’t be sorry. This is probably my favorite thing I have learned so far from reading healthy living blogs.